The Naughty Nymphs - Official Site! The Naughty Nymphs recorded a CD entitled "Bube's ... live!" It was recorded in Mt. Joy Pennsylvania on 30 November 2000 at Bube's Brewery. There were two pressings (the first had a mirrored CD tray). View the cover art by Tom Laitinen. Depicted (above and right) are Katya, Delia and Amanda. 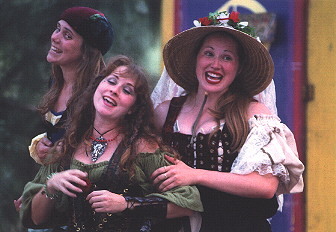 Seen here at the Florida Renaissance Festival, South in 2000. The photo, right, was the second place winner in the Flarf 2000 photo contest. 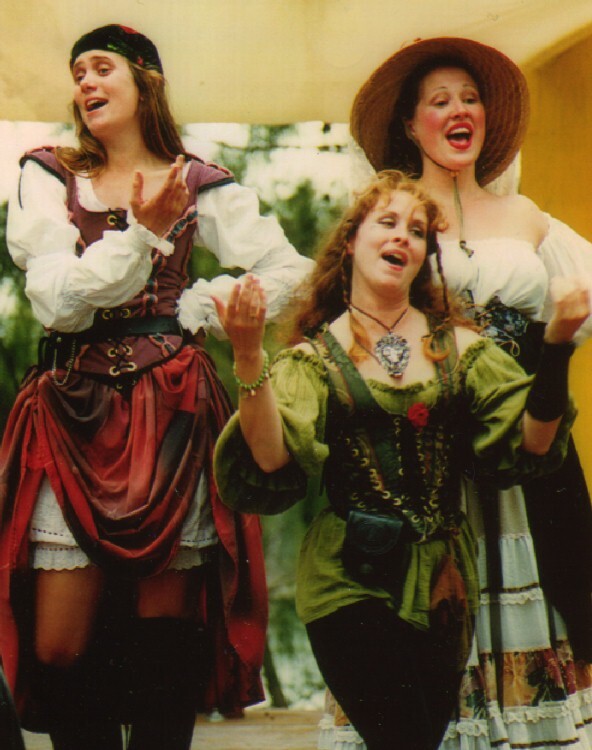 The photo below was taken at the Florida Renaissance Festival, North in April of 2001. The Nymphs are bearing their signature bloomers. See what's inside! The Naughty Nymphs are currently on hiatus. These three talented ladies are each pursuing other projects in various states around the country. Many thanks to all of our fans for the love and support!